DESIGN & VISUAL CONCEPTS IS A SPECIALIST MANUFACTURER OF GLASS REINFORCED GYPSUM (GRG) PRODUCTS INCLUDING CURVED CEILING BULKHEADS, GRG COLUMN ENCASEMENTS AND SUSPENDED CEILING FEATURES FOR THE FLAGSHIP AREAS OF A PROJECT. 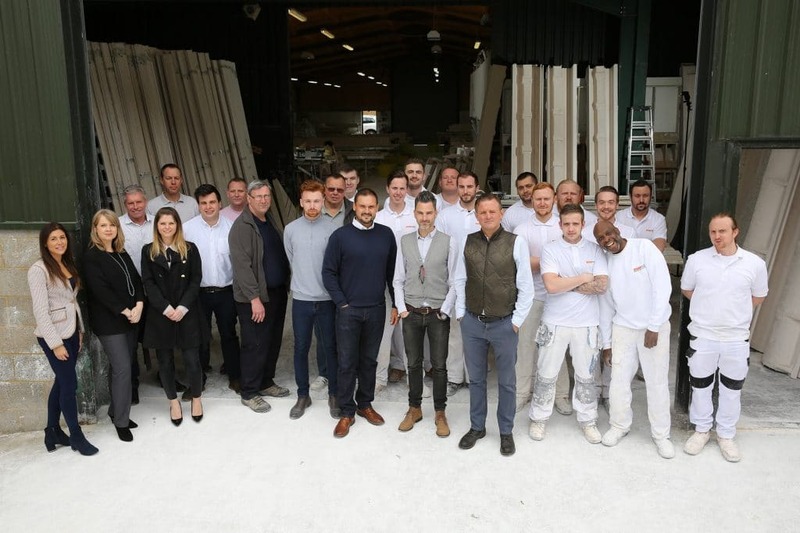 We are leaders in specialist and feature areas, providing superior UK based, glass reinforced gypsum (GRG) design, manufacture and installation. We install pre-fabricated fibrous plaster and GRG profiles including all interfacing walls and ceiling systems contained within the specialist areas. Our project and technical systems experts are geared up for installations of high architectural demand. We seek to raise and maintain high standards in this industry with exceptional design and application standards via our knowledgeable, trained and incentivised team. (L-R) Paul St John, Andy Kemp and Mike Arney have a combined 60-year expertise in GRG manufacture and installations, across varying sectors. Andy Kemp is Operations Director, Paul St John is Managing Director and Michael Arney is Projects Director. We are the only organisation in the UK dedicated to manufacturing and installing Glass Reinforced Gypsum. We are experts in what we do which is why we stick to it! Our business success lies within our efficient processes and crafts people. All organised by our 1st class project managers. We apply our CAD & CAM design skills and detailed technical knowledge across all of our projects. We understand that choosing the right company for your project is essential to enabling: project success, budget efficiency and building your reputation. At the beginning of any project we listen to your objectives, working with you not just as a supplier but as a partner too.